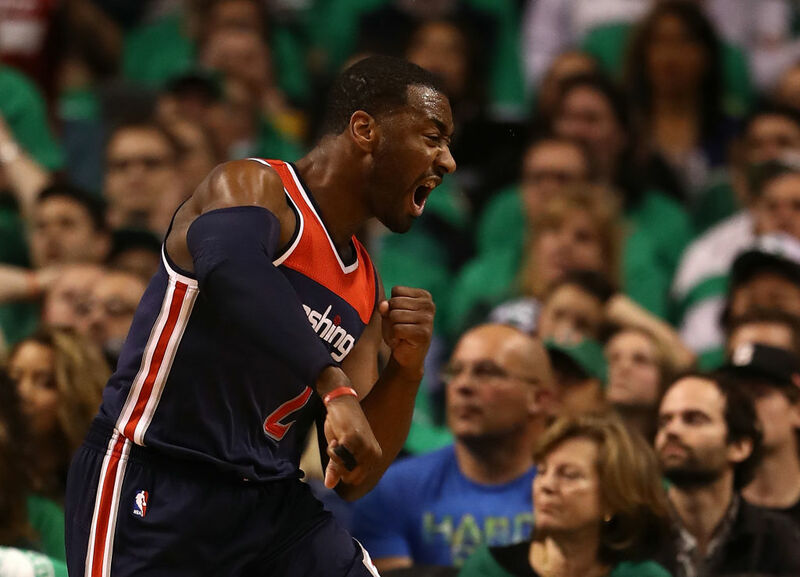 John Wall helped lead the Washington Wizards within a game of the Eastern Conference Finals last season. Now he's reaping the rewards. The Wizards offered Wall the Designated Player Extension, also known as the "supermax," worth $170 million over four years. The extension will kick in starting during the 2019-20 season. During the next six years, Wall will make $207.2 million. Wall is the third player to sign a supermax contract, joining Steph Curry and James Harden. He made the All-NBA third team this year, which allowed him to sign the supermax. The four-time All-Star was the No. 1 overall pick in the 2010 NBA Draft. Naturally, Wall is very excited about his big deal. In fact, he went so far as to guarantee a title soon after signing. In a video posted to Uninterrupted, Wall addressed Wizards fans and said he's "definitely gonna bring y'all that championship." That might be a little ambitious, but the Wizards do have an exciting young core in Wall, Bradley Beal and Otto Porter. All of them are signed through the 2020-21 season. Additionally, the Cavs and Celtics are the biggest two threats in the East. The Cavs appear to be in quite a bit of turmoil, and the Celtics will be adjusting to Gordon Hayward joining them. Maybe there's an opportunity for the Wizards to sneak by. Either way, this team is going to a be a blast to watch and should once again be among the highest-scoring in the league. And that's worth plenty of money to the Wizards.